No more income inequality! Everyone is equally starving. Venezuela’s military has taken control of security in the coastal city of Cumaná after the latest bout of looting and food riots that led to the arrest of 400 people, many of them minors. 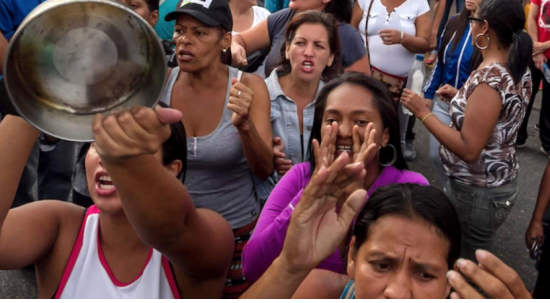 With desperate crowds of people chanting “We want food!,” protests and melees at shops have spread across Venezuela in recent weeks, fueled by severe shortages. Three people were shot dead in separate incidents last week, with a policeman and a soldier arrested in two cases.